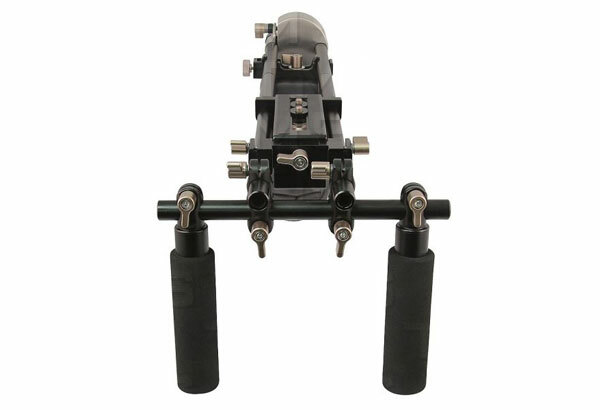 The Genus GVCSMK video shoulder mount is a modular and adaptable support system designed with the new generation of large sensor video cameras in mind. The modular design of the components in this system allow you to quickly build up or strip down your rig to suit. 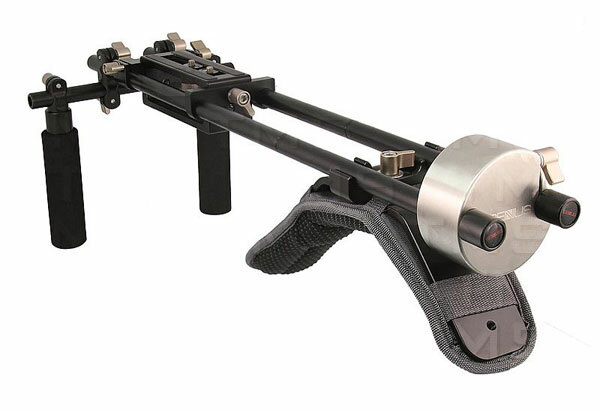 By utilising industry standard 15 mm rods the shoulder mount ensures compatibility with other acces-sories. You can accessorise your rig with the easy attachment of matte boxes, follow focuses and moni-toring solutions. It is a perfect match to the ever expanding range of Genus accessories. Made of CNCed aviation grade aluminium makes the rig both strong and light weight. The rod height can be varied by changing the orientation and fixing point of the rod support bracket. The modular component design of the rig allows for easy break down, and convenient transportation. The non slip foam grips are easily adjustable, allowing you to change them, to the right position for you. 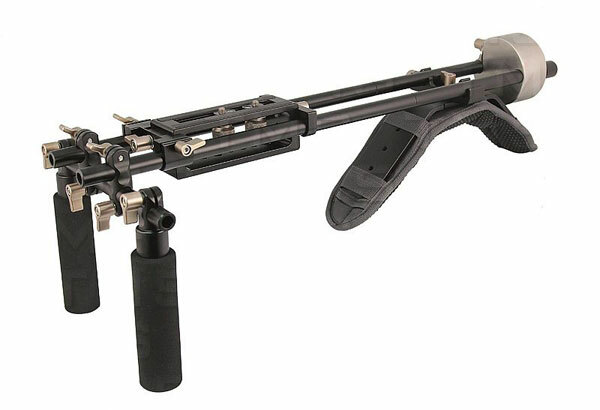 The Genus video shoulder mount rig is available in as a complete kit or as individual components. The modularity of the rig makes it simple to add more components. Designed with ergonomics in mind, as your shooting style evolves so can your Genus system. 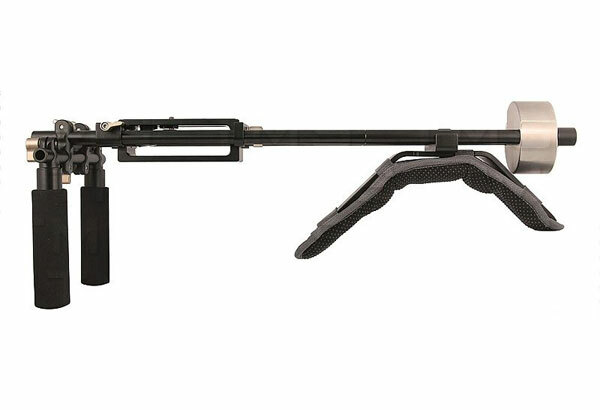 The adjustable shoulder pad and counter weight allow you to configure the rig to maximise comfort and balance. The Genus Video shoulder mount opens the world of endless possibilities and can be easily configured to your shooting style.